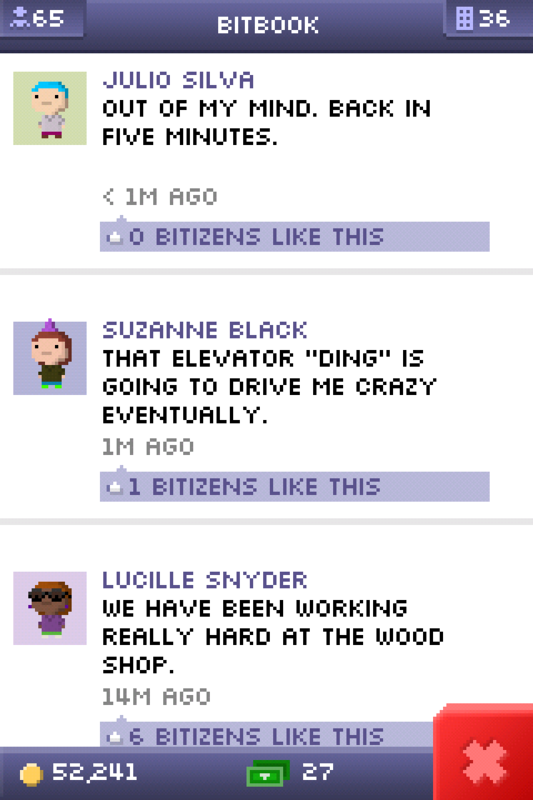 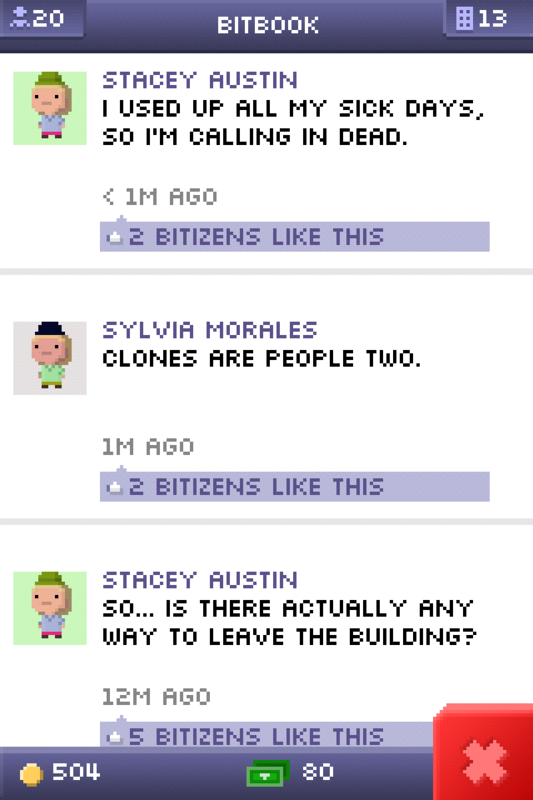 When I first picked up Tiny Tower from the app store, I must admit it came across as a bit of a pointless game that just gets you to do repetitive tasks like operate the elevator for the bitizens and stock up the stores every 5 minutes. 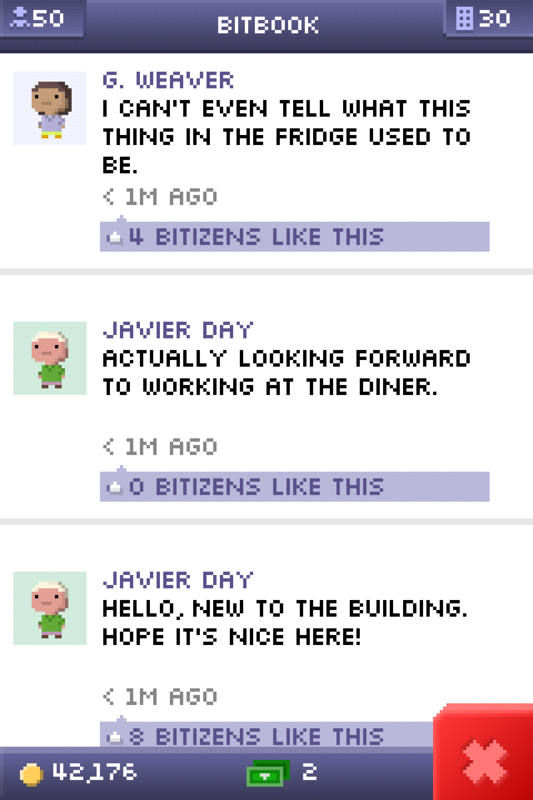 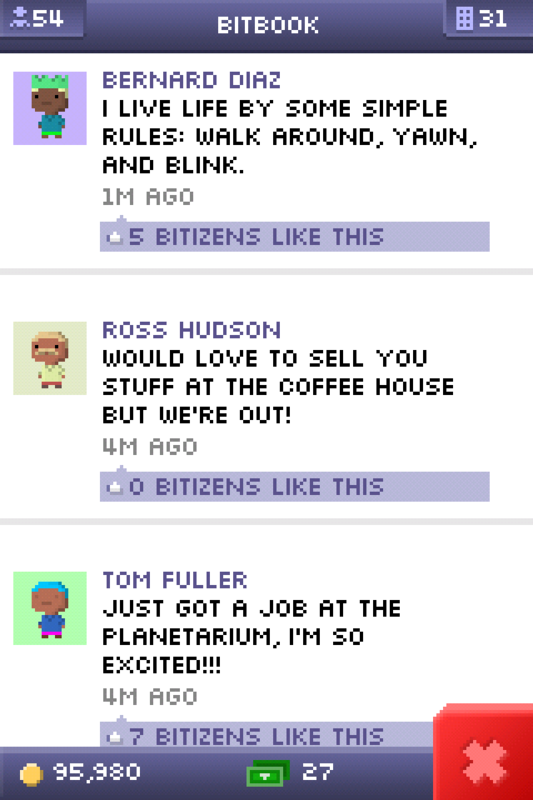 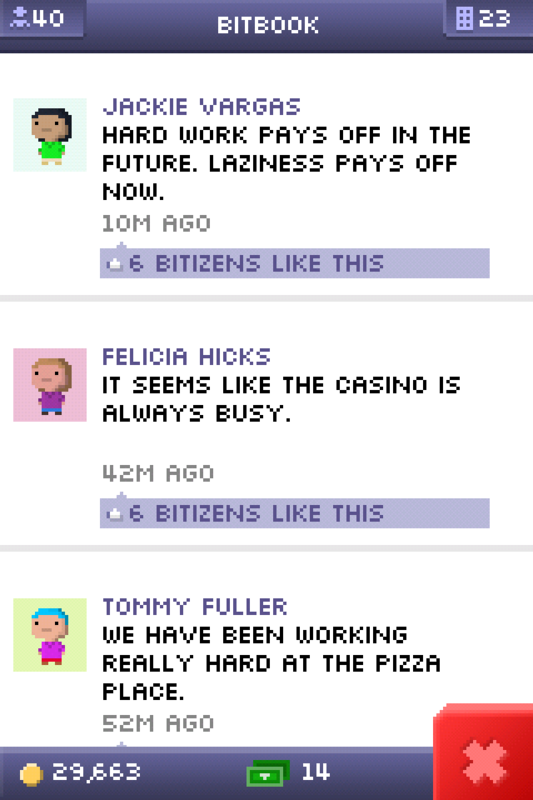 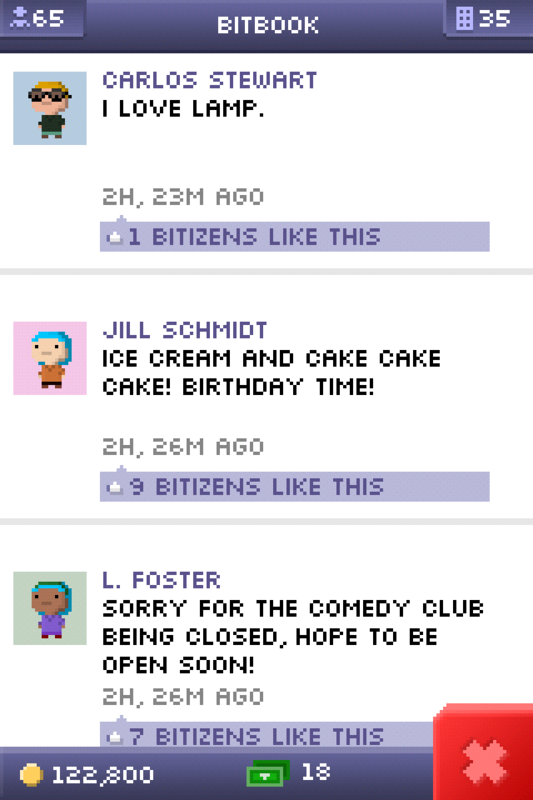 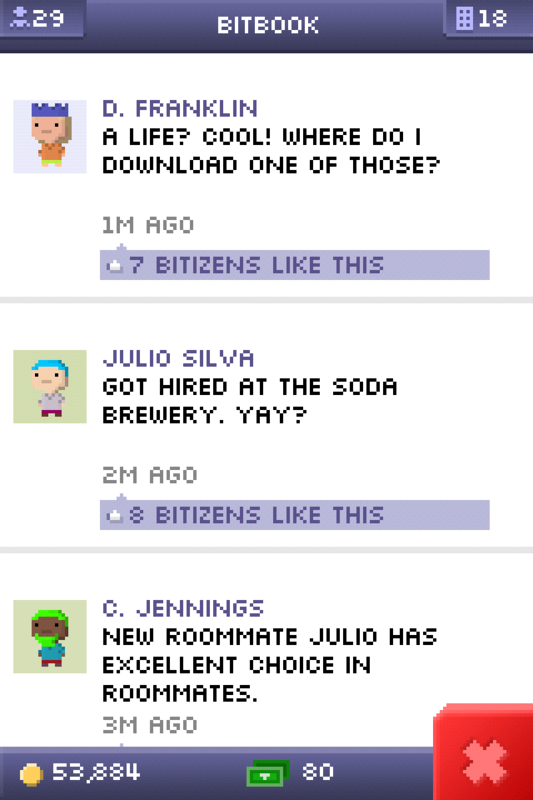 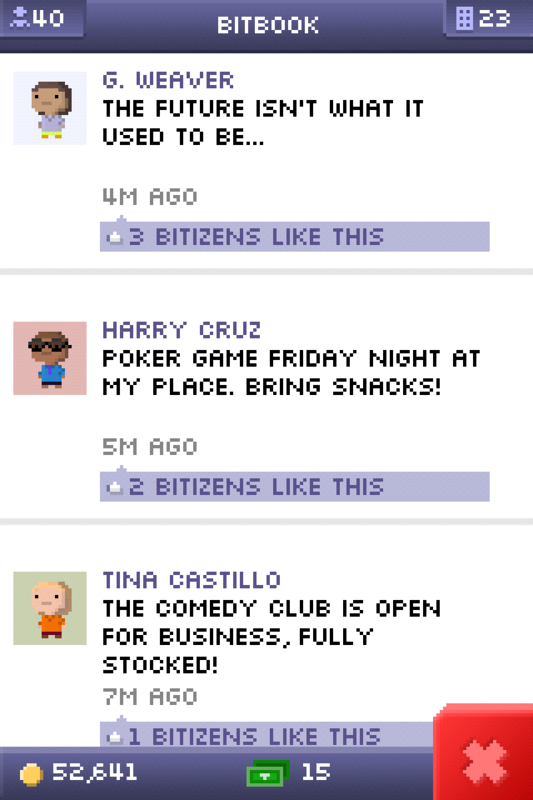 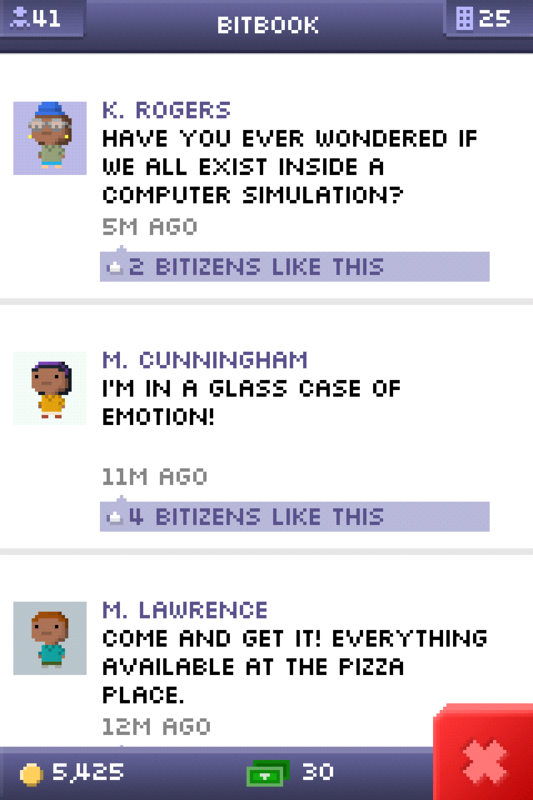 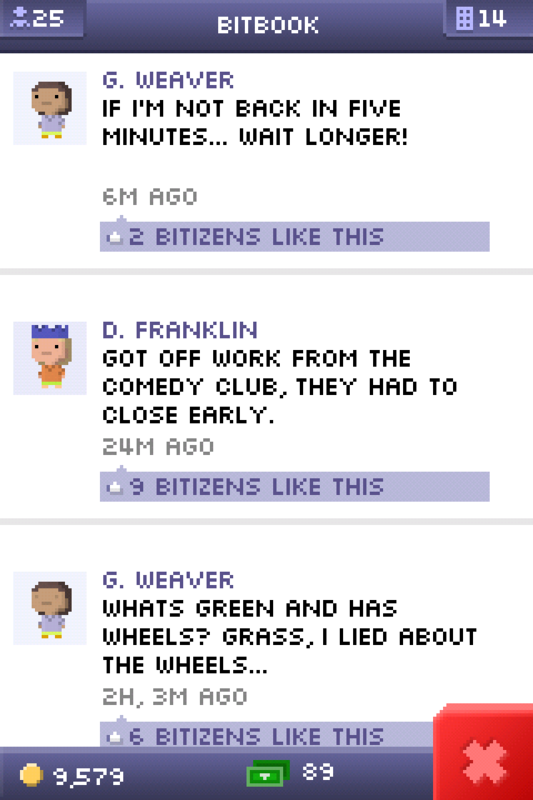 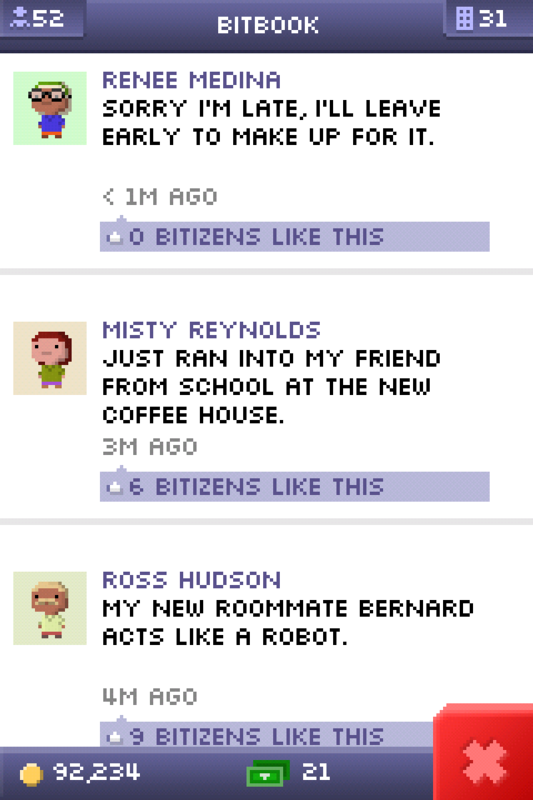 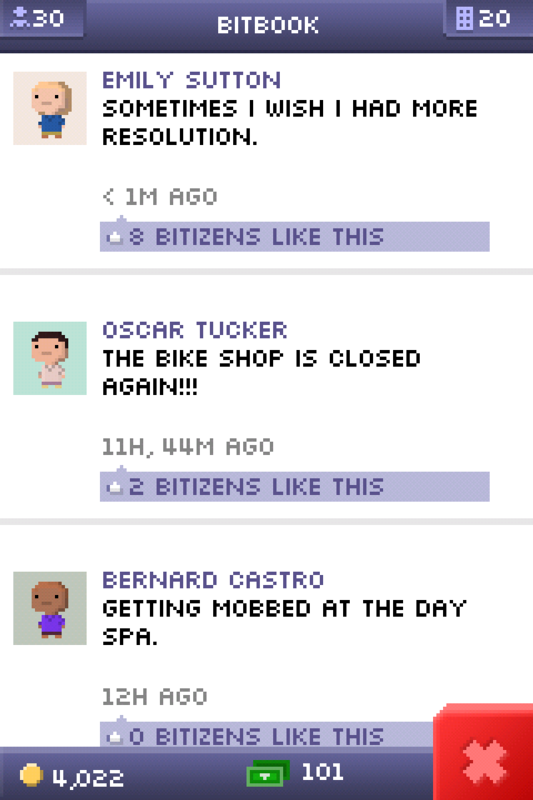 But having played it for a while, the BitBook status updates on their own is a fun enough reason to play the game! 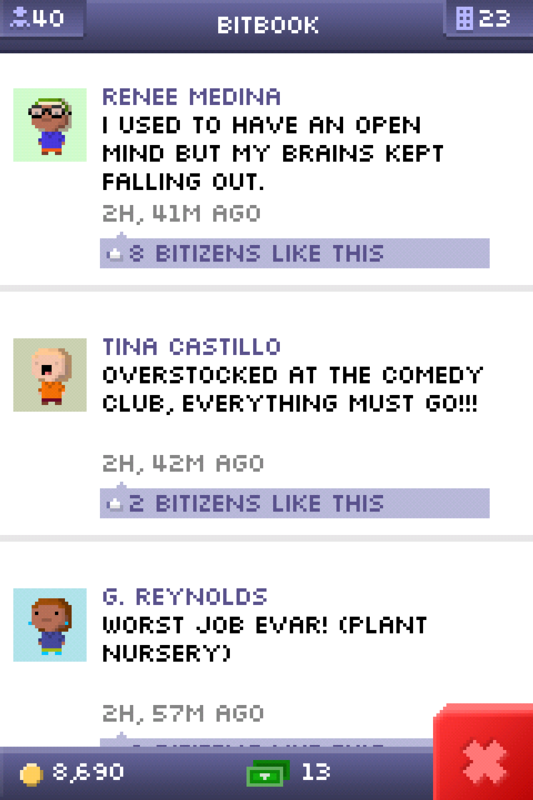 I now see it more as a game to fill small slots of time through the day; the kind of game you’d play while waiting for the train or in the queue at the supermarket. 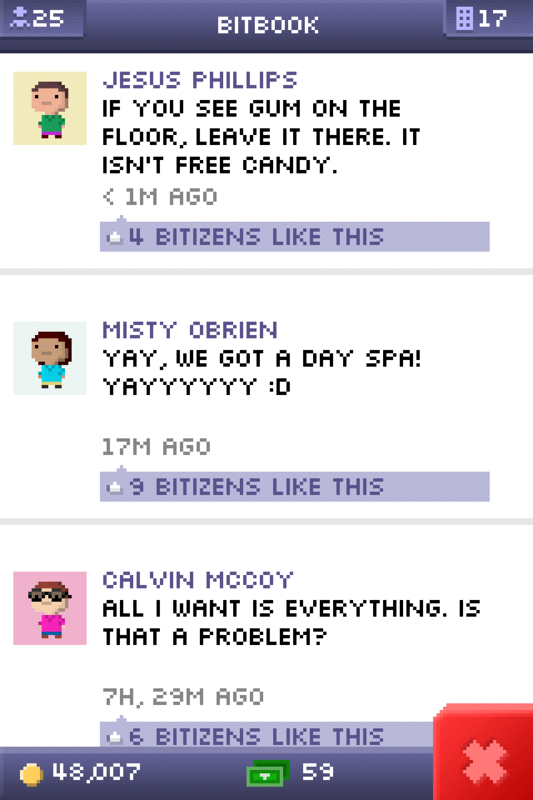 Did I mention there’s an Apple Mapple Store? 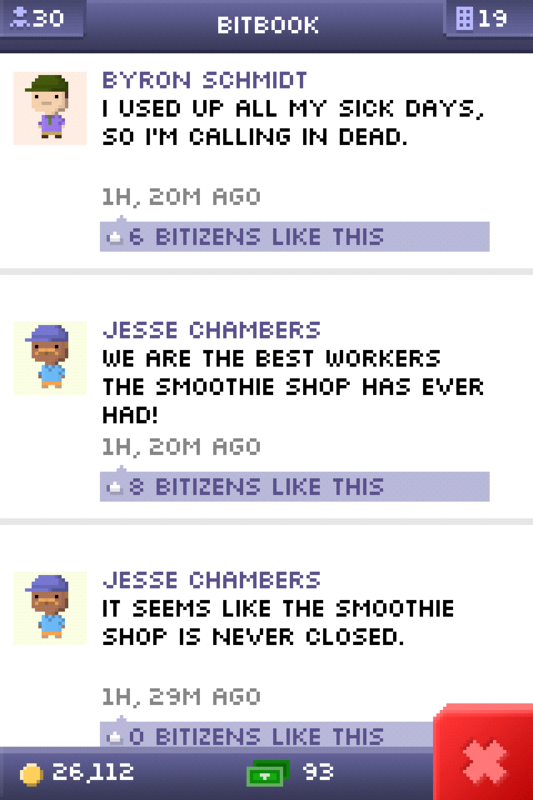 There’s even a store that sells LOLs, LMAOs and ROFLs! 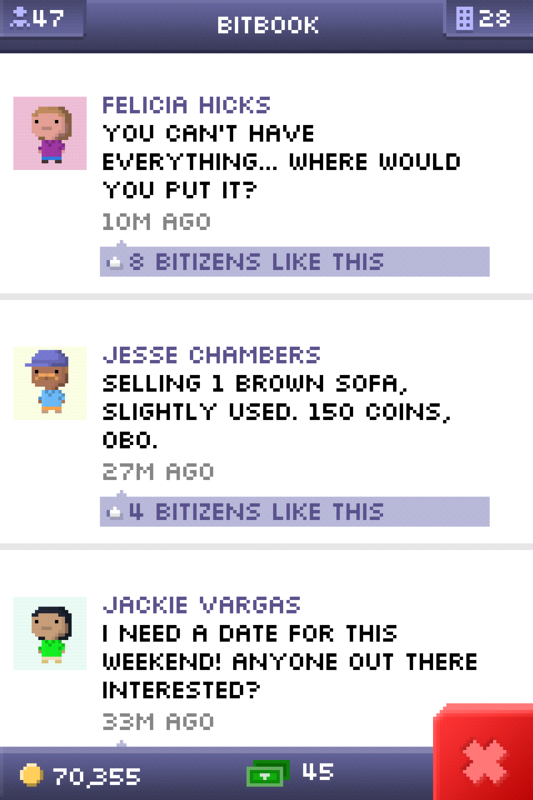 Check it out on the app store and if you’re on game center, my handle is ash.matadeen Friend me up!